Update: The Samsung Galaxy X could cost a lot, with one rumor putting it at around $1,850 / £1,375 / AU$2,400, and it might launch in February 2019. Foldable phones are coming – it’s only a matter of time – and it&apos;s looking increasingly like Samsung could be the first company to commercially launch one, possibly as soon as this year. 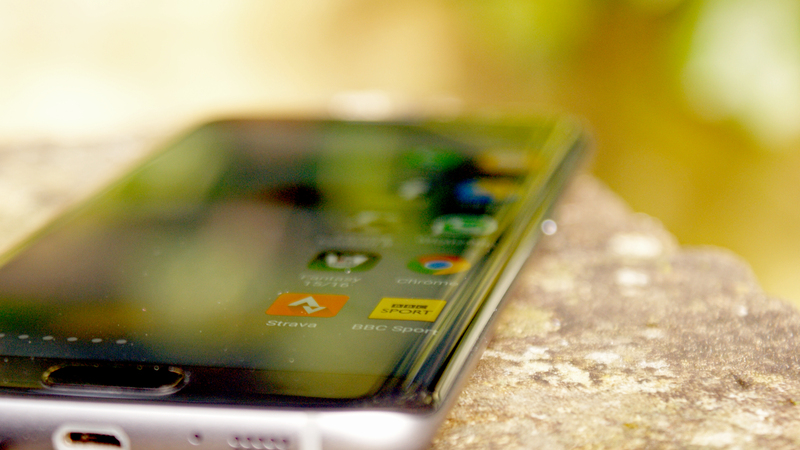 While a device like the one in the video above is likely still years away even now, by 2012 Samsung was already hard at work trying to launch the first generation of flexible or foldable phones, but a report late in the year claimed that problems with the production of flexible screens would hold the first bendy display back until at least 2013. That was made even more clear when the tech was reportedly hit with new manufacturing issues in April 2013. Supposedly the previous problems had been solved, but now Samsung was apparently struggling with the encapsulation technology, which protects the screen from moisture and air damage. We were sceptical about that launch date at the time, and were right to be, as we&apos;re now in 2018 with no sign of it. But that’s not quite the full story so far. 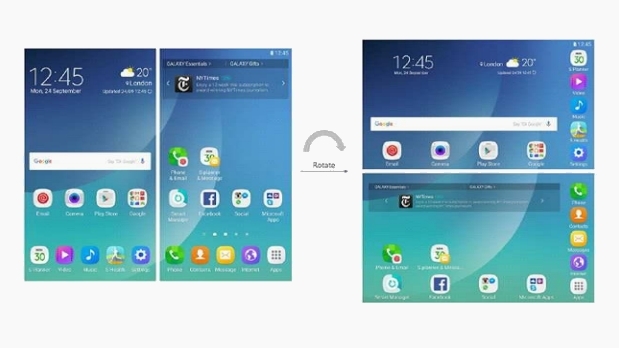 At SID 2016 Samsung showed off a roll-out display – but one which didn’t have a touchscreen layer, which would be pretty vital for a smartphone. We&apos;ve seen plenty of early glimpses that claim to show off the Samsung Galaxy X. 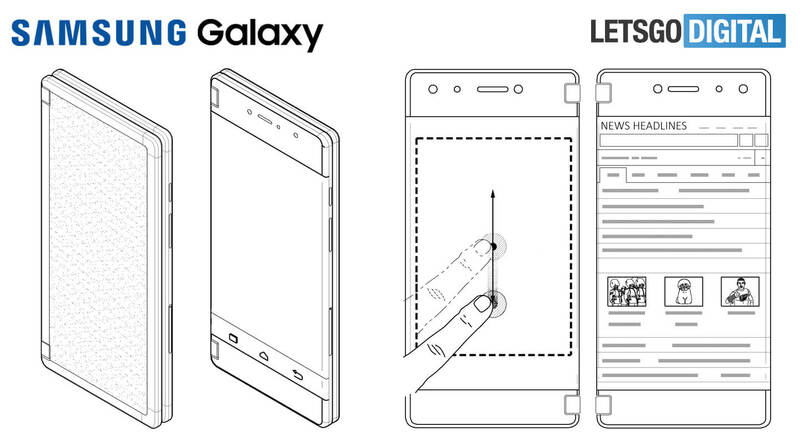 One came from a patent spotted by GalaxyClub, highlighting a long device, with a shape more like a remote control than a smartphone, but one which could fold down to half the size. One of the more recent bits of information that may point to the foldable X looks different than previous info. 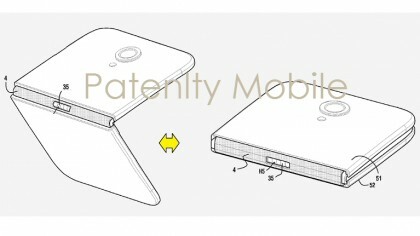 Much like the ZTE Axon M that came out in 2017, images from the patent filing (shown above) show off a bezel-licious device that folds in a clamshell design. According to some sources, more than 100,000 units were going to roll out in the third quarter 2017 – though they added that plans for a 2017 launch could apparently be changed, which has clearly happened if any such plans ever existed. 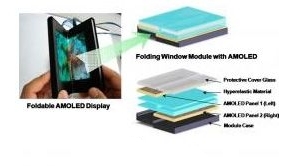 Elsewhere we were hearing that Samsung would only have a prototype ready by then, and supply chain sources speaking to DigiTimes said that a small production of foldable handsets would be made in the fourth quarter of the year, but technical issues may mean we wouldn&apos;t see mass production before mid-2018 – something which now looks optimistic. More recently still he&apos;s said that rather than being the first the company&apos;s goal is to make meaningful products and "roll out new products worth paying for", so it sounds like we might still be waiting a while for the Galaxy X if their aim is to make it polished. In November 2017 we finally had a look at the possible interface of the Galaxy X, revealing a familiarly Samsung UI, but where each half of the display shows a different screen, rather than just making everything bigger or smaller. And in early 2018 an industry source claimed Samsung will likely start producing the phone – which will apparently have a 7.3-inch display – in November 2018, with a launch likely in December or early 2019. However, they added that it&apos;s likely to have an ultra-premium price tag. 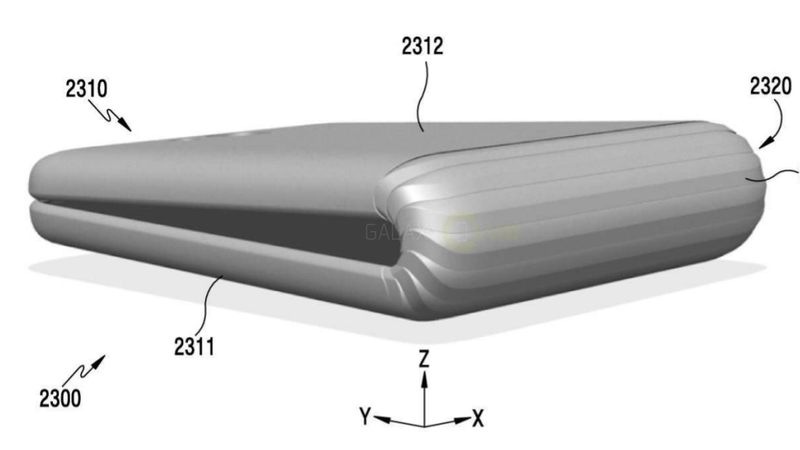 But apparently prototypes of the folding phone have already been shown off behind closed doors at CES 2018, which took place in January, while Samsung&apos;s Q4 2017 financial results included claims that foldable OLED panels and phones could be a big money-maker for Samsung in 2018 and beyond – which is yet more evidence that the Galaxy X is coming soon. Apparently the screens for this device will be ready by November 2018 and the phone itself could land in February 2019, possibly during MWC. That&apos;s a rumor that we&apos;ve now heard more than once, though as with everything Galaxy X-related we&apos;d take it with a huge helping of salt. And whenever it does arrive, you might have to pay a lot for it, as an analyst reckons the cost could reach ₩2,000,000 (around $1,850, £1,375, AU$2,400). Still, at least you should have some time to save. 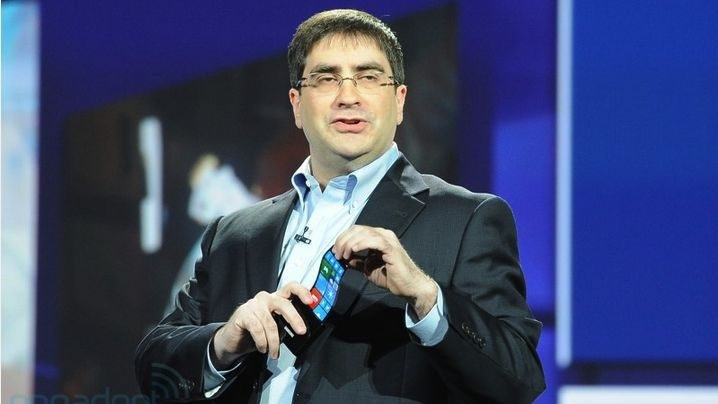 That brings us up to today, and while Samsung has made some commercial progress towards a flexible phone, with curved screens on the likes of the Samsung Galaxy S9, on the surface it doesn’t seem much closer overall to a truly foldable display than it did way back in 2011. There’s lots of talk of a late 2018 or early 2019 launch, but that’s not the first time a questionably close launch has been rumored. And since a Samsung employee has said not to expect the Galaxy X before 2019 that&apos;s the earliest we&apos;d expect to see it. But behind the scenes promising progress does seem to have been made. Over the years several key problems in development appear to have been solved – from making a screen that can be folded thousands of times without breaking, to avoiding damage to internal components. 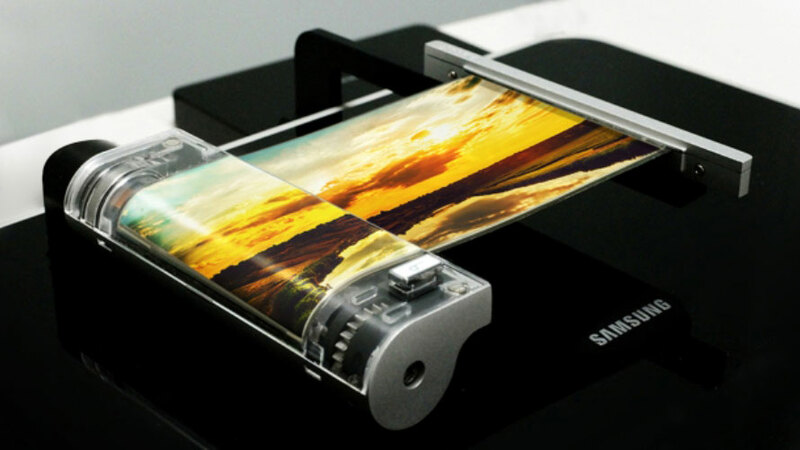 So we still see folding phones in our future, and maybe even the not too distant future.